On Saturday I had the opportunity to attend my very first Brunch and Slay event, and boy what a treat. The event was first launched in 2016 in Houston, TX, and at that time I was unable to attend. Upon conclusion of the event, I heard such great things and said if given the opportunity I would not miss it again. So when the event was announced this year I jumped at the opportunity to attend but was also excited to share my experience with the Single Wives Club readers. This event was definitely the “Bentley” edition in comparison to many of the other brunches I’ve attended. First of all the event was held at Fifteen Cocktails and Lounge located in Saks Fifth Ave., stepping off the elevator into the event you were greeted by waiters with champagne and hors d’ oeuvres while you mixed and mingled with friends. While sitting waiting for my plus 1 to join me, I was greeted by this warm smiling face, and it was the Brunch and Slay founder Ameerah. 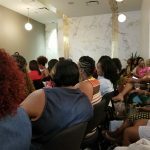 Ameerah made her way around the room and greeted every guest personally, introducing herself and providing introductions for those women in attendance that came alone, pairing them with other women in the room. As brunch began we were ushered into the dining area of the facility and given and chose for our brunch selection; Crab cakes egg benedict, Banana Foster French Toast, Grilled Chicken Breast or Angel Hair Pasta Primavera. The food was nothing short of amazing, not to mention the waiters kept my glass filled with champagne. During brunch we were treated to a mini fashion show by stylist Ashley Kahn, in which we were given a preview on how to mix and match or clothing to go from a day to cocktail look. 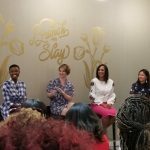 After Brunch we proceeded on to the next segment of the event which was “Slaying.” The Slayage included a 2 part panel, the 1st segment focused on “Balancing Act,” and included Emmy Award Winner Erica Holloway, Fitness Expert Leah Egwuatu, DIY Blogger Brandy G, Master Fashion Illustrator Rongrong Devoe & Moderated by Best Selling Author Charlie Marcol. The Balancing Act for life is about finding other women or a support system you can lean on. 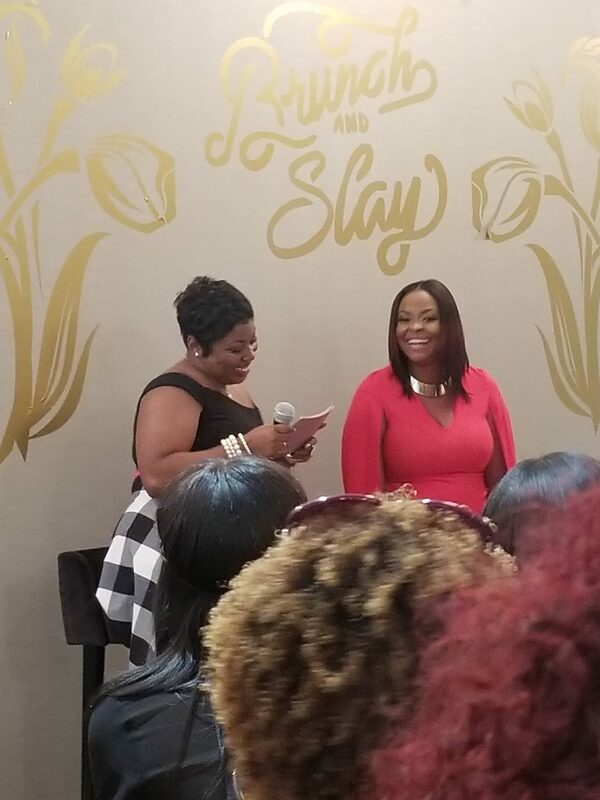 Segment 2 of the “Slayage” panel discussion included a one on one conversation between Charlie Marcol and Married to Medicine personality Dr. Ashandra Batiste about “Divorce, Love, and Marriage” and all that falls in-between. Dr. Batiste shared her story of getting married for the first time and not wanting to disappoint her parents. So she entered into a union of marriage that the pastor advised against. 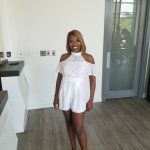 She recalled a time while in pre-martial counsel and feeling like her gut was telling her not to do it, however when faced with the stress of having to break to the news to parents and the financial burden Dr. Batiste forged forward. The relationship would finally end in divorce and afterwards is when she would meet her true prince charming and realized what true love was. 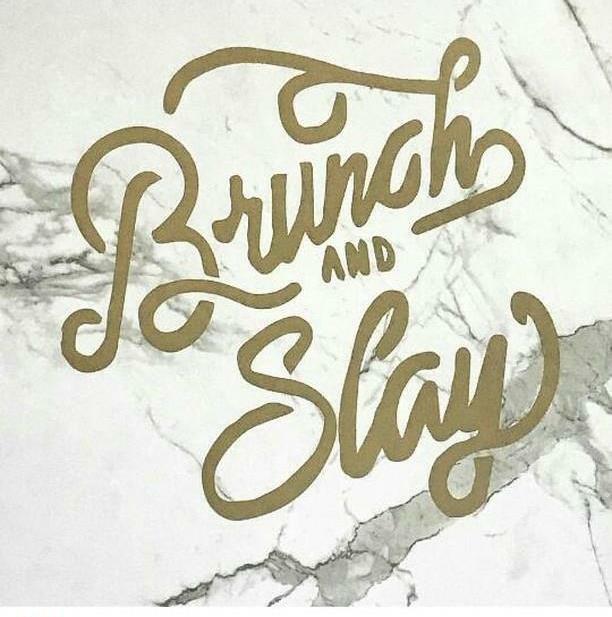 If you have not had a Brunch and Slay experience you don’t know what you’re missing. Ameerah is in the process of scheduling another event during the month of August. 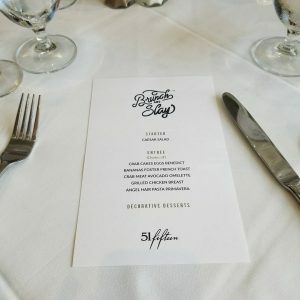 Make sure you register for their mailing list at www.brunchandslay.com to get updates about upcoming events.